Email is ubiquitous, and younger generations are just as hooked on the marketing channel, according to a study released this week by SendGrid. The Denver-based email company, which also filed for an IPO this week, partnered with Egg Strategy to poll 1,200 consumers under the age of 50 on their messaging use. The Future of Digital Communications Report surveyed members of the Gen Z (ages 13-21), Millennial (ages 22-34), and Gen X (ages 35-50) generations to inquire about their communication habits and use of email. 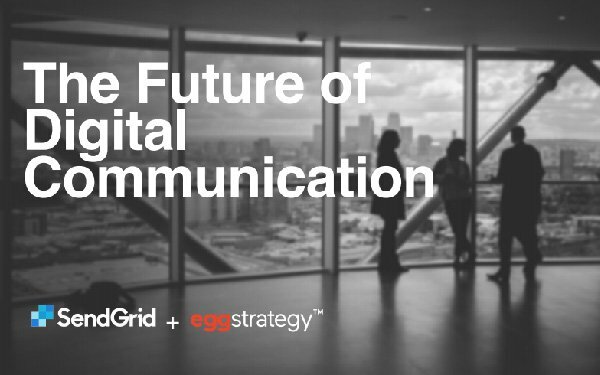 The SendGrid study suggests email isn’t going away anytime soon, because it’s a staple form of communication for younger generations. Email is an easy win for marketers, but it’s also a consistently easy win. In fact, consumers don’t expect to give up their email any time soon. A majority of respondents expected their email use to increase or stay the same over the next five years. Email is also a unique channel for marketers because when it comes to brand engagement, consumers overwhelmingly prefer to interact with B2C companies via email. Across all age groups, three-quarters of respondents selected email as their favorite communication channel to engage with their favorite brands.